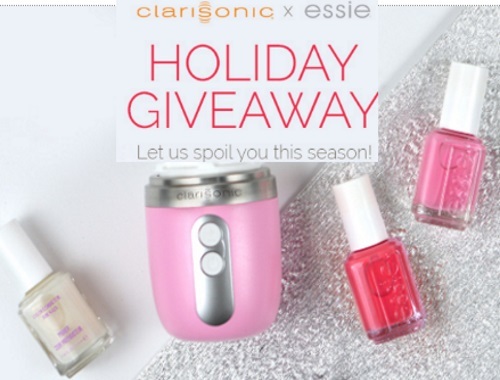 Essie has a new contest with Clarisonic! Want to pamper yourself from head to toe this holiday season? Let us help you #treatyourself! Enter your information at the link below for the chance to win 1 of 3 Clarisonic & essie holiday gift basket (value of $279). Prize includes: 1 pink Clarisonic Mia Fit, 3 essie nail polishes and 2 essie care products. Contest closes December 15, 2016.